new books | Book Hub, Inc.
All Change Please is a thought-provoking yet humorous look into the lives of three best friends, Ophelia, Kat and Elise, who simultaneously come to a crossroads. In an unexpected twist of fate, their lives are turned upside down when a close friend is suddenly killed, the impetus that will shake the women at their foundations. Together, they endure several months of sorrow and must decide what it is they need to do in order to get out of the hole that is their existence in London. Danielle West’s dark yet hilarious journey through sadness, drunken mischief, workplace revolt, marital turmoil, and in-law animosity isn’t just another story about life lessons. An enjoyable book to briefly escape the world…We can all relate…The humor was spot-on! 45% Off on OmniLit/All Romance eBooks! After inexplicably being placed in the wrong bassinet at the city hospital where I was born, I grew up with a nagging feeling of somehow not belonging, and a father who always suspected I was not his. I lived another’s life and he mine, our paths amazingly crossing throughout the years, until 57 years later I discovered the truth. This is the story of my life in someone else’s world, my quest for answers, and how I’ve come to terms with the hand which fate has dealt me. This is a story about two boys who, at birth, were inexplicably switched, a switch that would dramatically change the author’s life in every aspect—religion, ethnicity, economics, and culture. Time and time again, the two boys’ paths cross with one another’s before ultimately discovering, decades later, that they aren’t who they spent their whole lives believing they were. At 57, Fred George sees his birth family for the first time, recognizing in them his own mannerisms and traits. George’s retelling of his switch at birth is not so much an account of the switch itself, but rather the story of his life from birth to present with the George family. The story is interesting and insightful, complete with family photos that provide readers with an inside view of the culture and of the times of George’s life. VIEW THE BOOK TRAILER HERE! A compelling biography, interlaced with humor, of a man switched at birth who does not learn his true identity until 57 years after the midwife placed him in the wrong bassinet. Switched At Birth is an easy read that is hard to forget. This book is a diamond in the rough… the stories are often comical, sometimes heartbreaking, and always enjoyable. Full of doubts, ironic coincidences, experiences, growth, the feeling of not belonging and being different, but most importantly [the author]shows us the essence of life itself…The idea of this book is fantastic and so is the approach…The author has impressive insights and thoughts as well as a definite writing voice…I highly recommend [it]. It is unimaginable to think that the life you have lived was not the one you were meant to have. Despite this tragic event, the author has a very uplifting spirit and positive outlook on life. This book is a great read for anyone. Captivating memoir…definitely one of the best I have ever read…I recommend anyone to read this book. I absolutely loved it. – Sony – 20% OFF! – OmniLit/All Romance – 25% off until July 7th! “I picked this story out of a line-up of potential stories for review, and honestly, what drew me to it is the fact that my name is also Laura. That, and I was intrigued to learn about the life of another Laura in what is, essentially, a whole other world (specifically the town of Atwood, Kansas, U.S.A). I was fascinated by Laura’s story from start to finish. Not only had her early life been quite different to mine, but it started nearly one hundred years ago. Another world, another time. Despite some similarities I found between myself and Laura Schmid (she was born with dark eyes and hair, like me; her father named her Laura, like mine had; she never liked her name, and neither have I, though she disliked it due to the fact no one had heard it before, and I dislike it due to how common it is these days! ), her upbringing couldn’t have been more different. She was born, lived and worked on her parents farm along with her fourteen other brothers and sisters, being the youngest girl with only three brothers below her in age (I grew up with five other siblings, and I thought that was tough!). They all attended school when they reached the right age, but were never permitted to go on to high school, as their father wouldn’t allow it. Of course, Laura, at eighteen, did eventually attend high school, and then college, although she was ‘twelve hours’ from graduating when she decided instead to marry. Quite a different time indeed. Throughout the story (which reminded me of the television show, Little House on the Prairie, that I used to watch every Sunday, that included another young girl named Laura), Laura recounts not only her childhood, but that and the lives of her immigrant parents and her numerous brothers and sisters, even putting in accounts from her brothers Joe and Paul on their experiences of life on the farm and in World War II. Laura and her family experienced a lot when it came to life and death, loyalty and sacrifice, but in reading you get the sense that camaraderie was a way of life in those days; times were tough so you had to look out for each other. Illness was rife and much of it still uncured and untreatable, so when a family member or close friend was taken it certainly had a knock on effect on every one who knew them. Laura’s story is beautifully and intriguingly written. It’s very factual but you also get a feel of who Laura is as a person; strong, smart and incredibly devoted to her family, close and distant. Not only do you come to understand what life was like for a large family in the early twentieth century Mid-West of North America, you also get to know what the world was like in general, particularly with the war and the Great Depression hitting the U.S.
I’m used to picking up biographies on celebrities or those who have led eventful lives in one way or another, and normally I would think that the majority of people in the world don’t have any particular reason to bother writing an autobiography (I may only be twenty-four, but so far I know my life would not make for an interesting read!). Indeed nothing major in the way of events ever really happened to Laura, but reading and understanding her life under different circumstances and in a different time is almost like a reading a history book, teaching lessons in humility, loyalty and sacrifice, and learning that although life may not seem eventful whilst you’re living it, when you’re eighty-something and looking back over the years, your achievements and experiences can mean a heck of a lot more than they did way back when. Special thanks to Laura Garnier with Super Phlum Book Reviews! Posted on June 20, 2013 by BookHubInc Tagged book reviewbook reviewscourthouse dramacrima dramacrimecrime fictioneBookfive star book reviewjames pattersonjohn grishamlawlaw and ordernew booksnew ebooknew releasepolic fictionpolice dramareader reviewreader reviews	Comments1 Comment on NEW RELEASE: Peter Berman’s Crime Novel ‘Hidden Agenda’ Receives Five Stars! 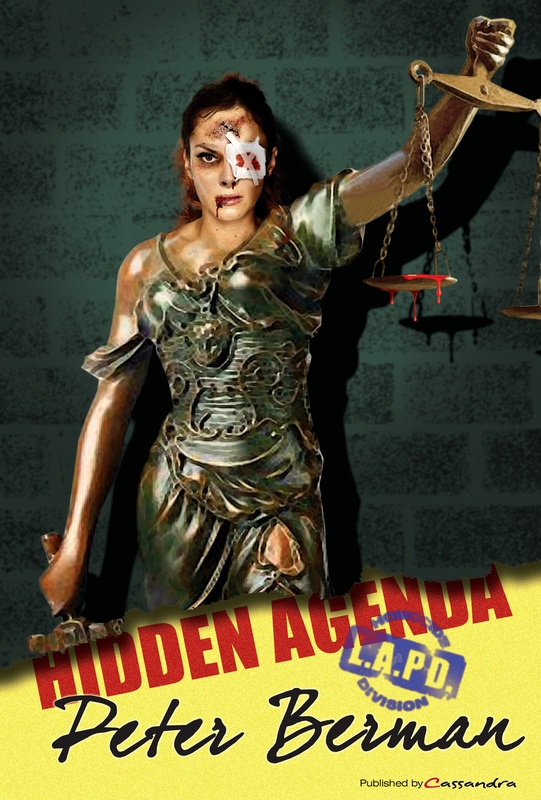 NEW RELEASE: Peter Berman’s Crime Novel ‘Hidden Agenda’ Receives Five Stars! Peter Berman has created a silver screen-worthy novel of crime, courtroom drama, twists and turns…a credit to Berman’s genius…From the first to the last page, Hidden Agenda rivals any of the works by John Grisham or James Patterson. This is absolutely a great read for fans of police and courtroom dramas. This book is like watching a train wreck. You don’t want to see what’s going on, you don’t want to know any more, but you just can’t tear yourself away and stop looking…I devoured it….It’s intriguing, beguiling and I was suspicious about everyone until the very end. No-one seemed to be who you start off thinking they are…This whole book was fabulous. I want to read it again…READ THIS BOOK! a timeless story that will never grow old. Charles Allen, loving husband and father in a family of eight, shares his personal experience of conquering the heartache and tragedy of losing two children to cystic fibrosis, and both his oldest daughter and wife to cancer. Through the details of Allen’s experiences of coping with the loss of four family members, it becomes clear how tragedy can become a powerful source of personal growth and how faith plays an important role in the trials and tribulations of life. Allen’s mourning culminates with the selfless gift given to him by his wife, Sue, as she struggles with her last breath. Through touching personal journal entries and revealing narrative, ‘The Gift’ chronicles one man’s struggles with, and triumph over, loss and grief. Available at Amazon, Nook, Kobo, OmniLit, Sony, iTunes, and Gardners Books!